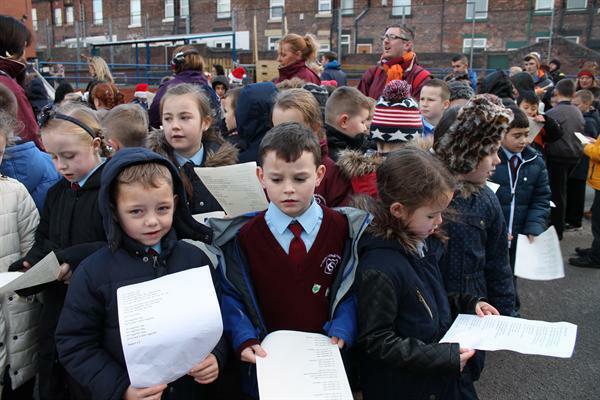 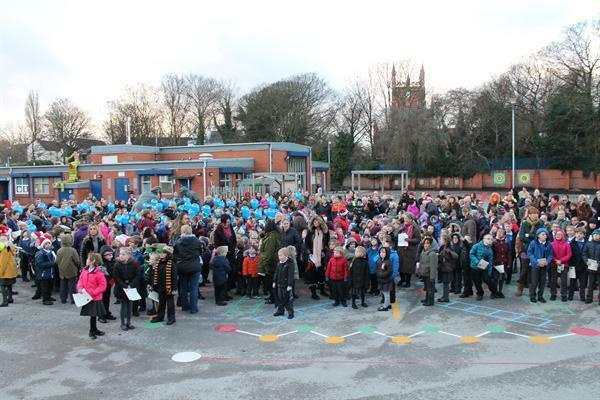 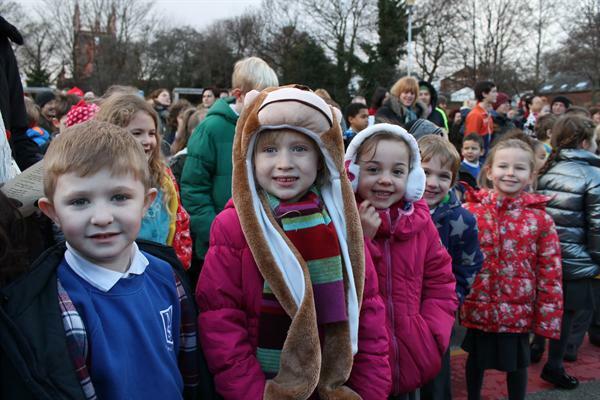 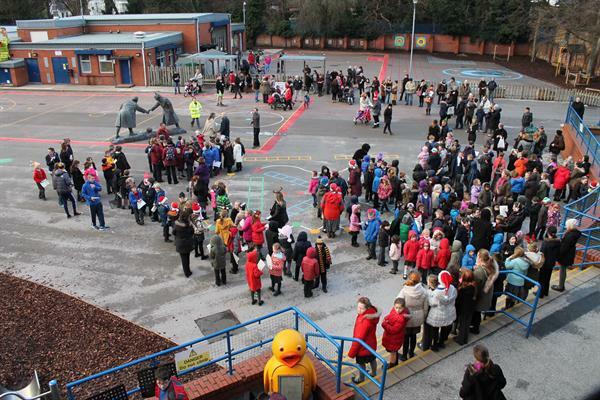 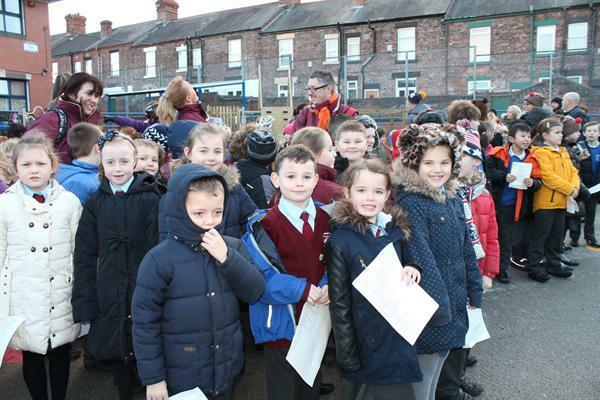 Thank you for braving the cold weather today and joining us for our Christmas singalong. 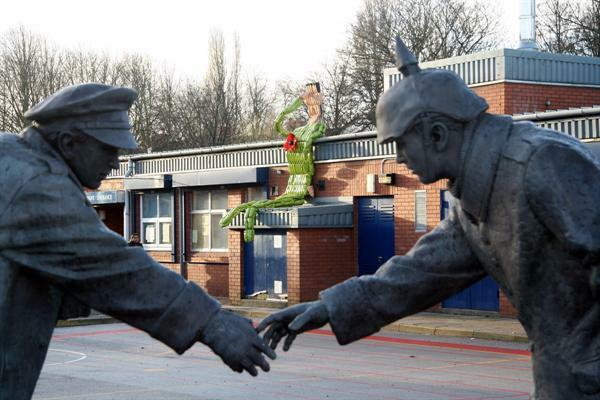 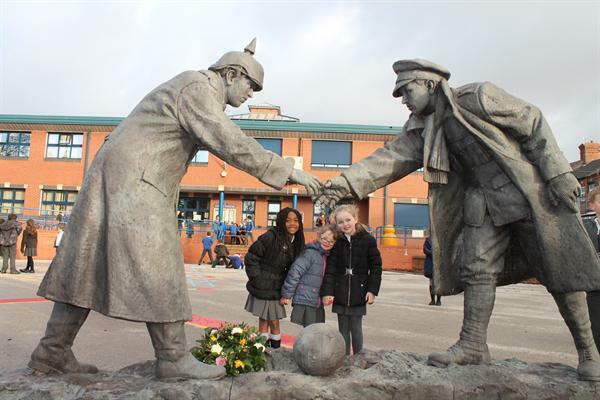 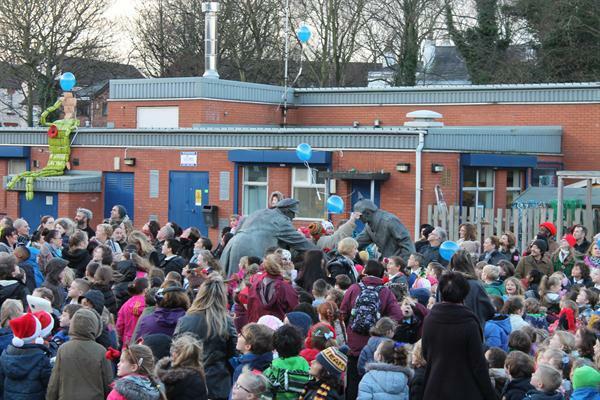 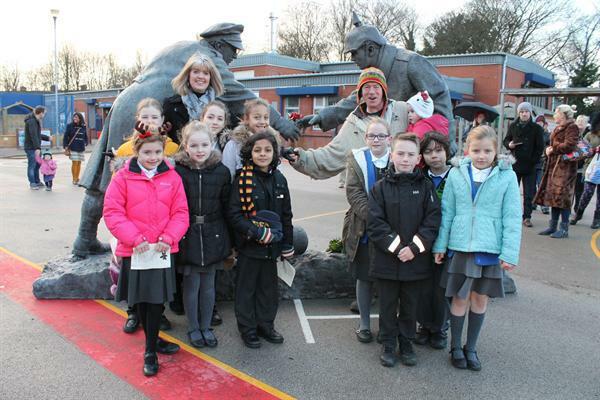 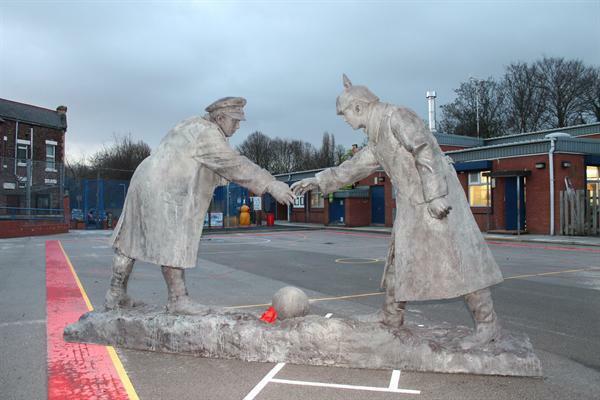 The event was extra special this year with the arrival of 'The Christmas Truce' statue on the Junior Yard, which was arranged by Tom Calderbank. 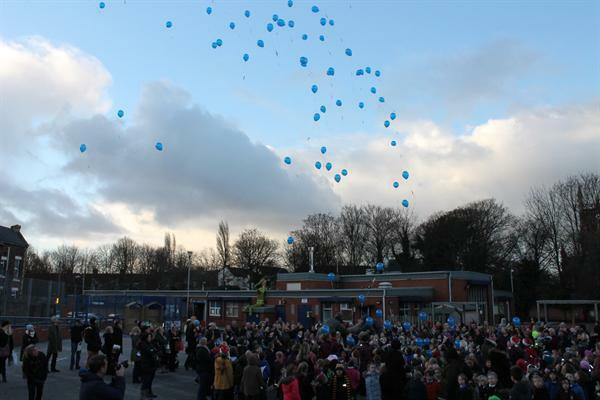 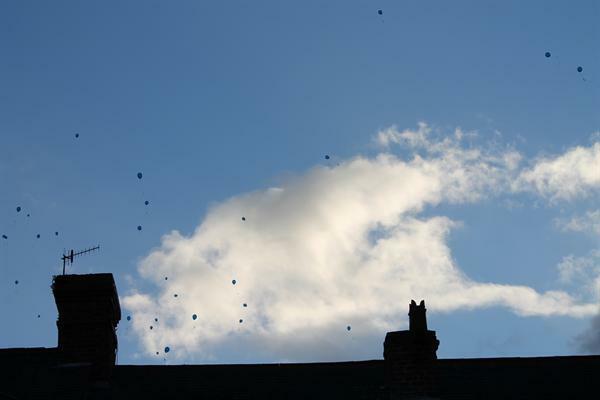 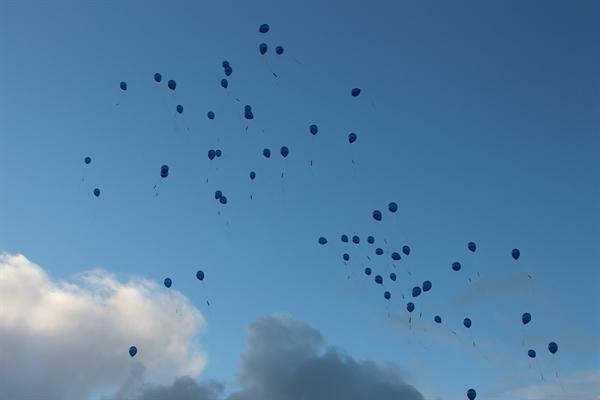 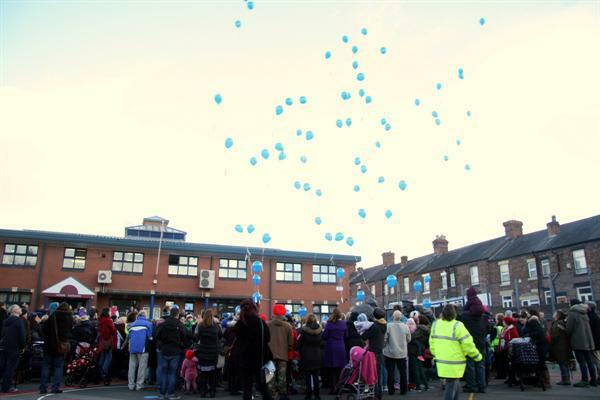 As well as singing, some of our pupils released balloons with the names of ex pupils of the school who went to fight during WW1 but did not return home. 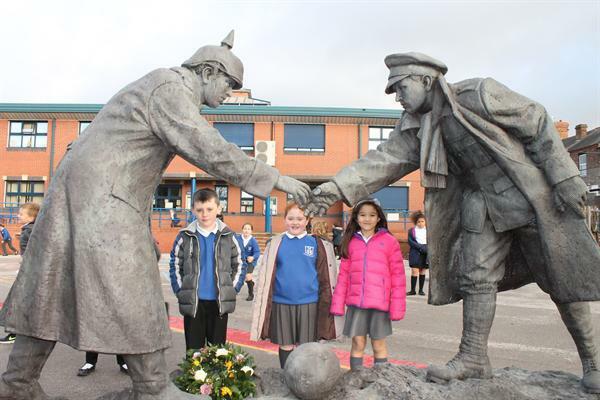 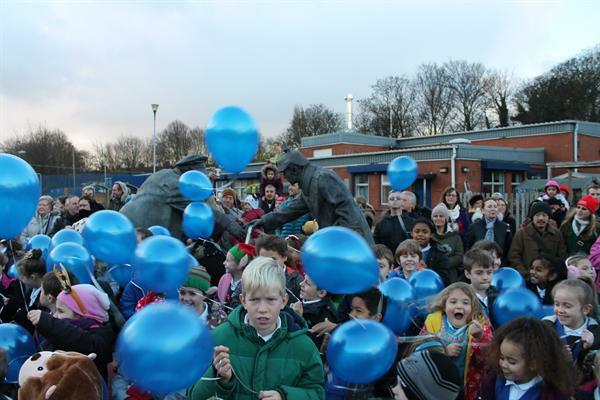 The statue created alot of excitement and we felt privileged to have it at our school. 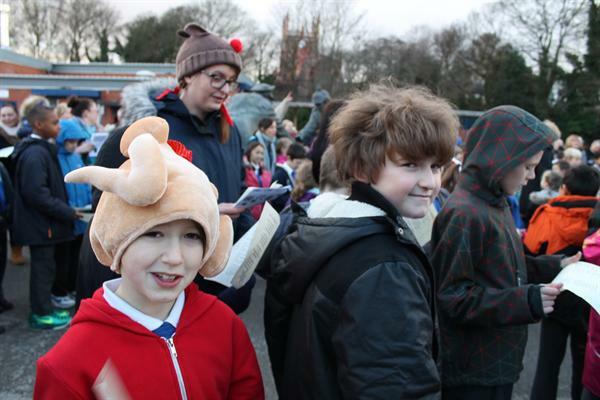 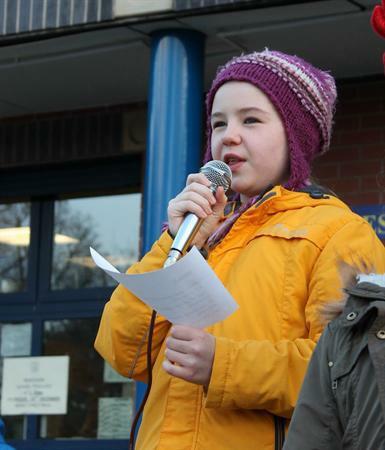 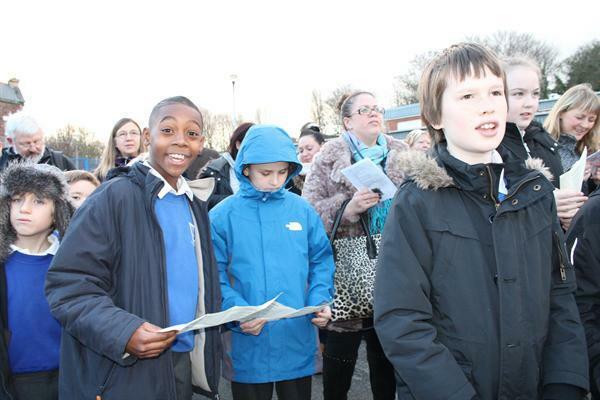 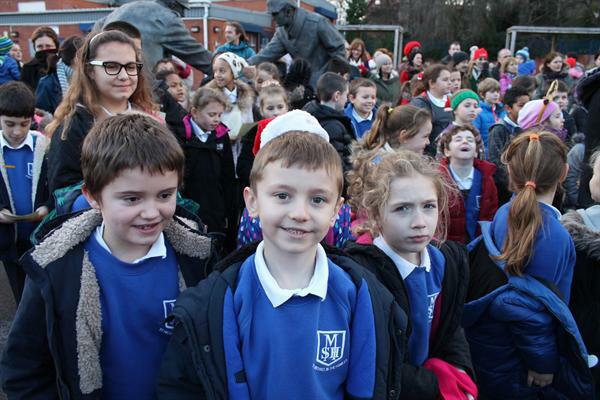 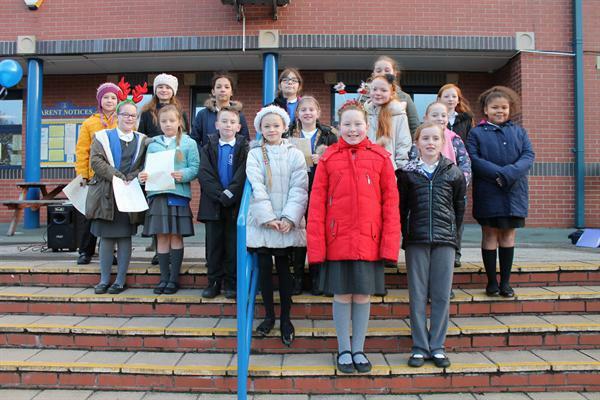 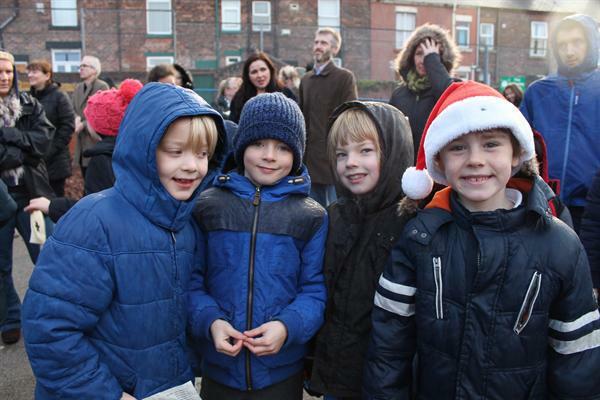 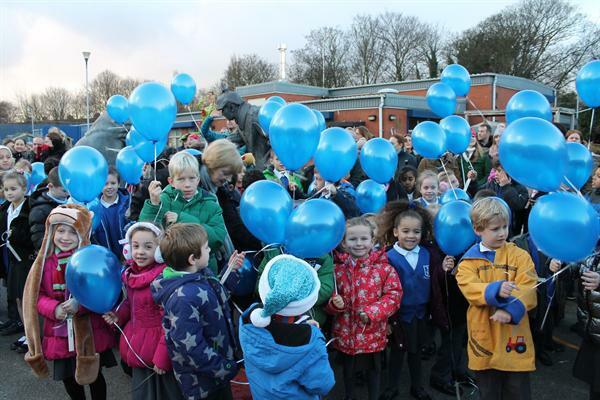 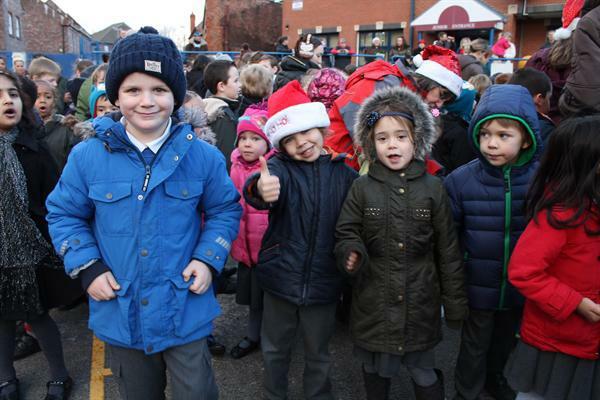 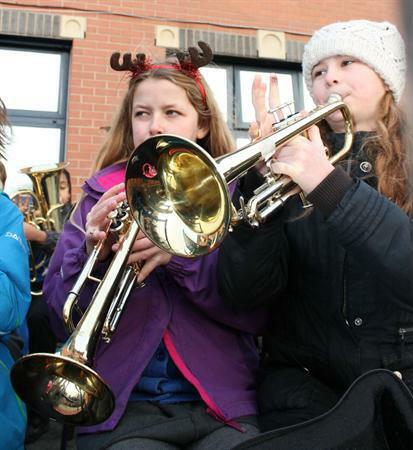 Pupils from St. Charles School were invited to enjoy the occasion. 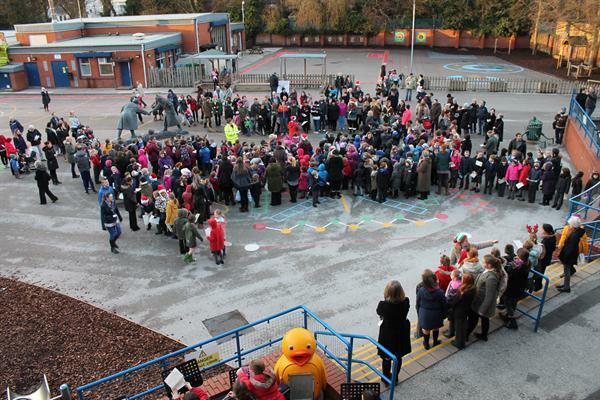 A brilliant time was had by all!